It’s that back to school time of year again! 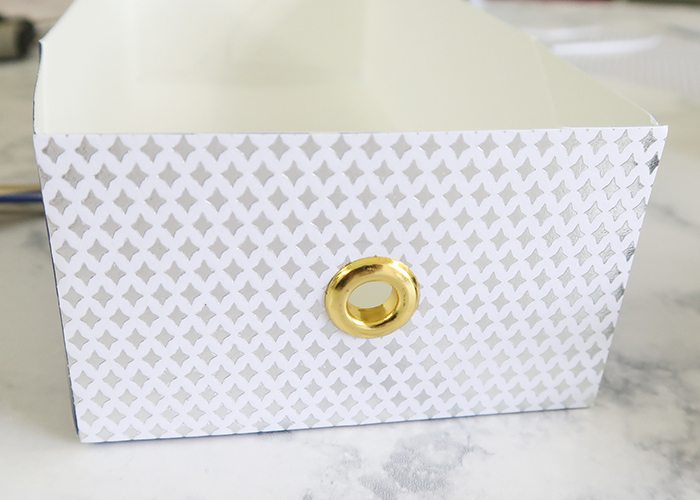 So today I’m showing you how to make this DIY Recycled Homework Supply Box. 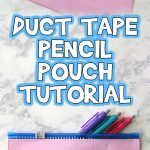 This is a great way to hide all those supplies your kids need for homework in a way that’s pretty and fits in with your decorating! Here’s what you’ll need! 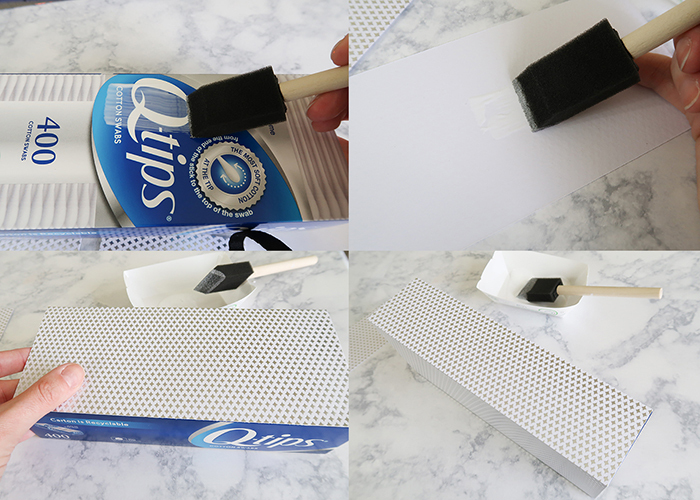 Empty cotton swab box, the slide-out kind. 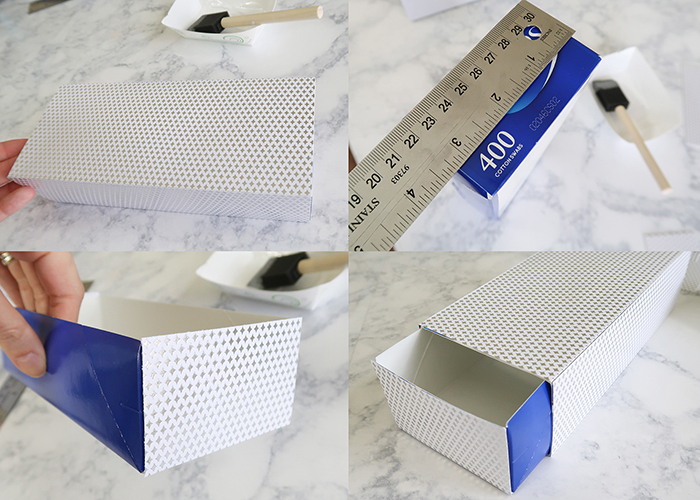 Start by separating the two parts of your box. Set the drawer part aside for now. Take your ruler and measure the top and bottom, and the two sides of your box. 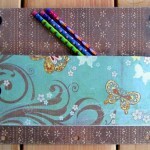 Use your paper cutter or scissors to cut your scrapbook paper to the correct sizes. 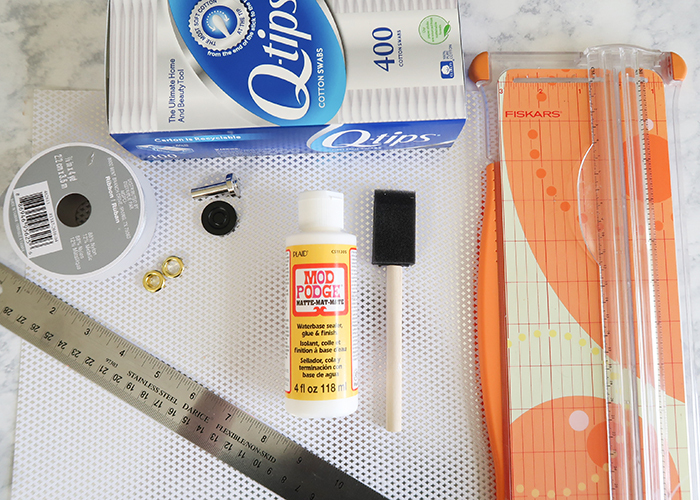 Then put some of your mod podge into a disposable (or washable) container. 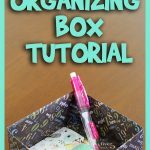 Use your foam brush to apply a thin layer of mod podge to one side your your box, and also apply a thin layer onto the back of the piece of paper that matches that side. 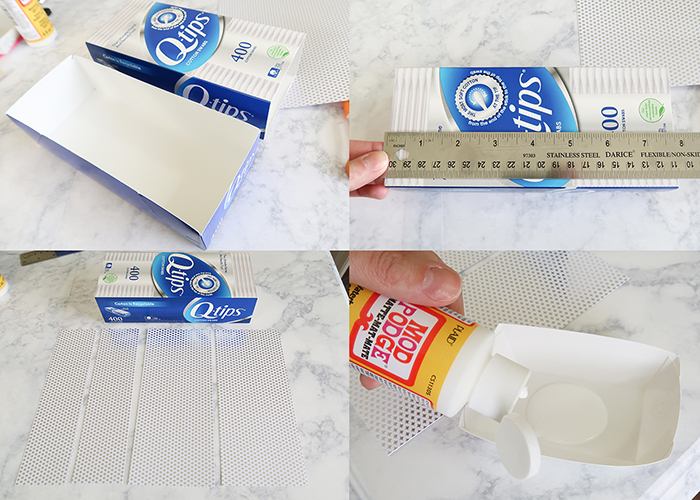 Let the mod podge sit for 30 seconds or so to get tacky, and then press it onto the side of your box, smoothing it in place from the center outwards to remove any air bubbles. Do the same for all 4 sides. 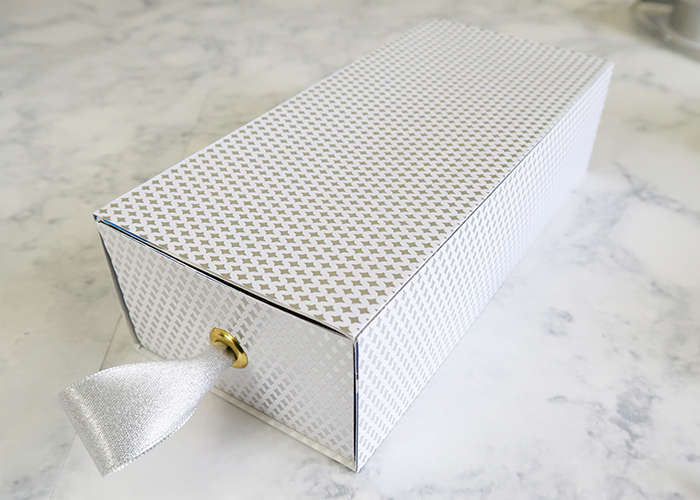 Now that your outside box is fully covered, set it aside to dry. Grab the inside drawer and measure just the two ends that will be showing, and cut paper to fit. Apply the paper to the two ends in the same way we applied the paper to the outside box. Let it dry, and then slide the drawer into the box and make sure everything fits well. 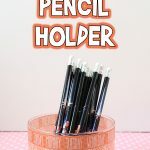 Now take a pen or pencil and mark the center of one of the ends of your drawer piece. 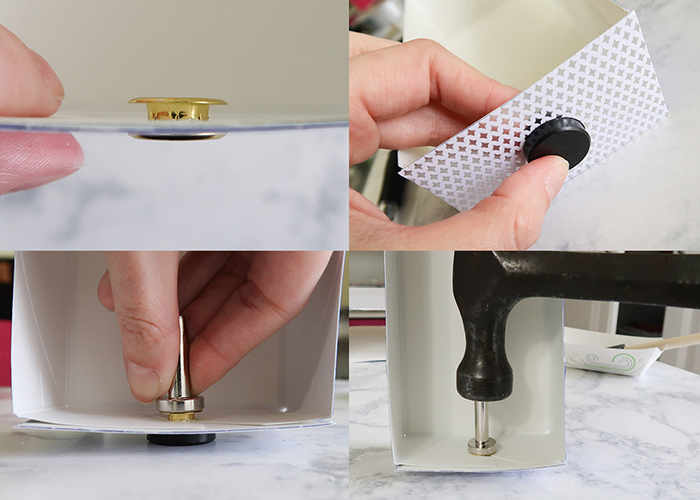 Take the smaller half of your eyelet (the “pretty” side) and press it gently into the paper, centered over the dot. This will mark a circle. 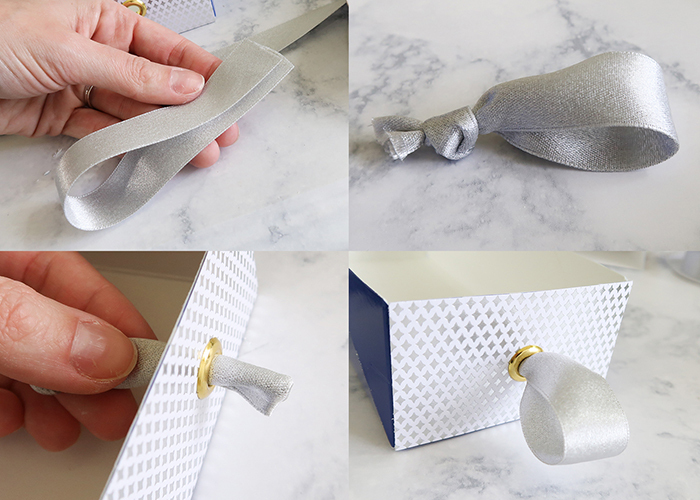 Use your scissors to trim out the circle, and press the eyelet into the box. 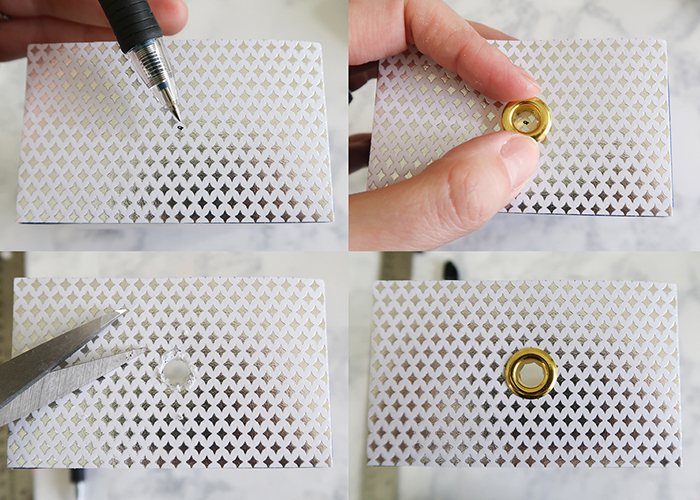 Set the back part of the eyelet on top of the part of the front eyelet that comes through the back side of the box, and then use your eyelet setter and hammer to set the eyelet in place. If you’ve never used eyelets or an eyelet setter before, I recommend practicing on a scrap piece of paper a few times so you know how hard to tap the hammer to set it without damaging the eyelet. See how pretty and professional that looks? And I promise it’s easier to do than you think! 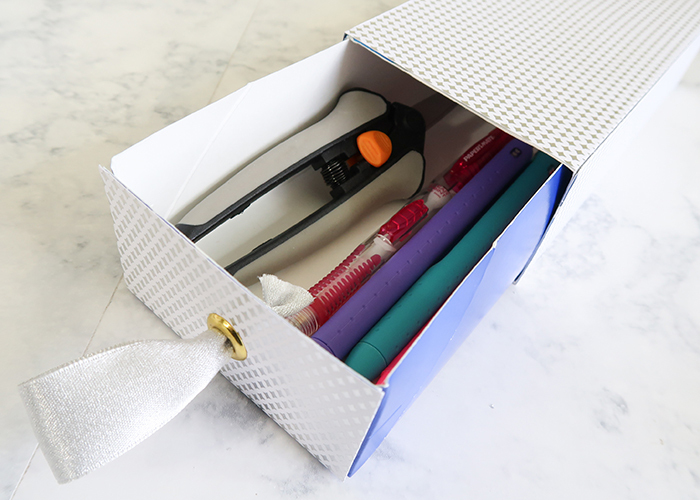 Now cut a length of ribbon and fold it in half. Knot the ends together, and then fold the loop a few times and thread it through the eyelet from the back to the front. 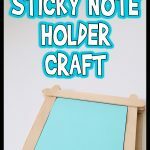 This makes a cute little handle without having to buy any expensive hardware. Now just slide your drawer into the box, and you’re all done! 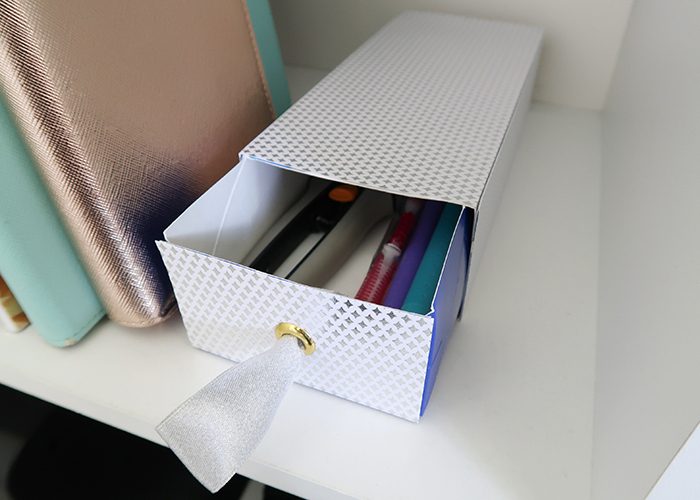 These boxes are the perfect size to fit pens, pencils, scissors, crayons, and even a calculator! I love being able to hide my kids’ homework supplies in plain sight! You can even make a few of these for different places. Keep one in the dining room, kids bedroom, and office. 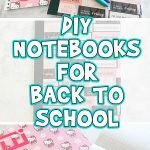 I even love the idea of keeping one in the car for those times when you need to do homework in the car or on the sidelines of a game! 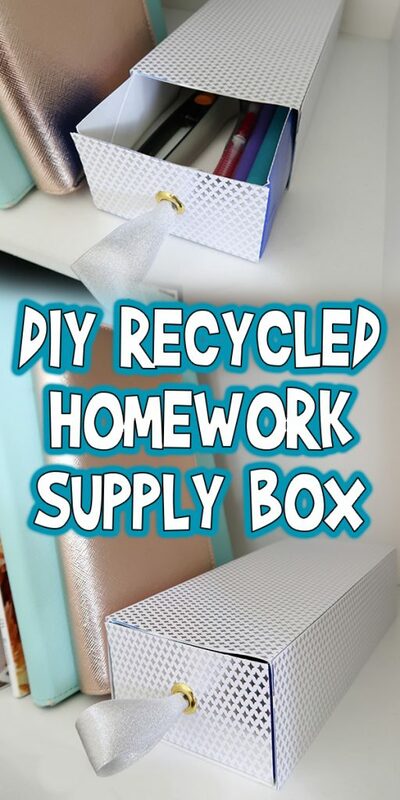 I hope you enjoyed learning how to make this DIY Recycled Homework Supply Box!